Two recent decisions out of the U.S. District Court for the District of Maryland illustrate the difficulty that cyber breach victims can have in establishing standing to sue. In both cases, the court dismissed the cyber breach suits for lack of standing because the plaintiffs had not yet sustained actual damages. The decisions reflect that whether a cyber breach victim has suffered cognizable damages is extremely fact intensive. Notably, the cases were dismissed or remanded for lack of subject matter jurisdiction under Federal Rule of Civil Procedure 12(b)(1), which can be raised at any point and is never waived. Plaintiffs further claimed that they had a reasonable expectation that their confidential personal information would remain private and confidential. Due to CareFirst’s failure to secure the personal information, plaintiffs claimed that they “have lost or are subject to losing money and property.” However, as the Court noted, the plaintiffs did not allege that they had yet suffered any actual injury, and thus there was not yet a ripe controversy under Article III of the Constitution. The facts in Khan v. Children’s National Health System, 8:15-cv-02125, were substantially similar. Mr. Khan filed a putative class action against Children’s National Health System, asserting that hackers had obtained access to certain employee e-mail accounts that contained subscriber personal data. Judge Chuang considered the increased risk of identity theft to be plaintiff’s most promising argument that she had an injury that could support Article III standing. Judge Chuang noted that district courts and even circuit courts have differed on whether identity theft is a cognizable injury that can support standing. 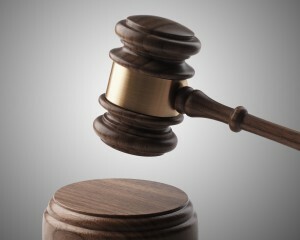 However, he noted that rather than applying a different legal standard, the difference in the courts’ treatment of these cases is largely determined by their unique facts. Both judges also rejected the claim that the plaintiffs had suffered harm in the way of mitigation costs, such as expenses incurred from obtaining credit monitoring services. The Chambliss Court reasoned that a plaintiff cannot manufacture standing by inflicting harm on himself, and the Khan Court stated that incurring costs as a reaction to a mere risk of harm does not establish a standing if the harm to be avoided is not itself “certainly pending.” Both judges also disregarded claims for decreased value of personal information, especially since plaintiffs had not yet alleged that they attempted to sell their personal information and/or that they were forced to accept a decreased price for that information. The judges in Chambliss and Kahn probably got this right. Still, it seems like only a matter of time before the hackers in those cases misuse the stolen data and, unwittingly, convey standing on their victims.